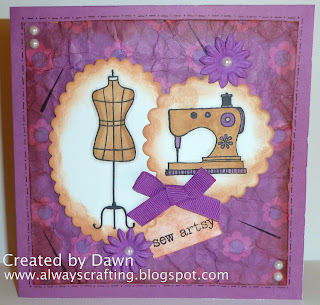 One Stop Craft Challenge is starting a new challenge with the theme being Vintage. Stop by the blog HERE and enter your vintage project today! I used clear stamps by Hero Arts to create this card. Very pretty Dawn! I love the vintage look with the pretty colors and papers! One Stop Craft Challenge - Tag your it!